If anything is possible, then why is it hard to imagine the unimaginable could happen? I ask myself this all the time. Even after having a year of unimaginable things taking place, I still have a hard time believing that some of my wildest dreams could ever have come true! Well, today we're happy to know that we don't have to imagine a literary world without Dina Silver in it. 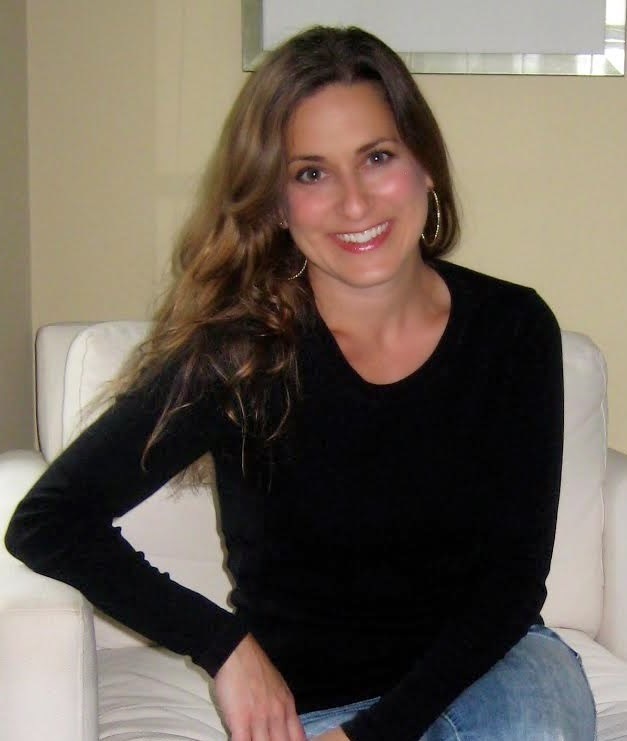 Before Dina was writing novels, she worked 15 years as a copywriter for an advertising agency. Thankfully, she eventually made the transition into writing novels with her first novel, One Pink Line (reviewed here), self-published in October 2011 and then published by Lake Union in May 2013. 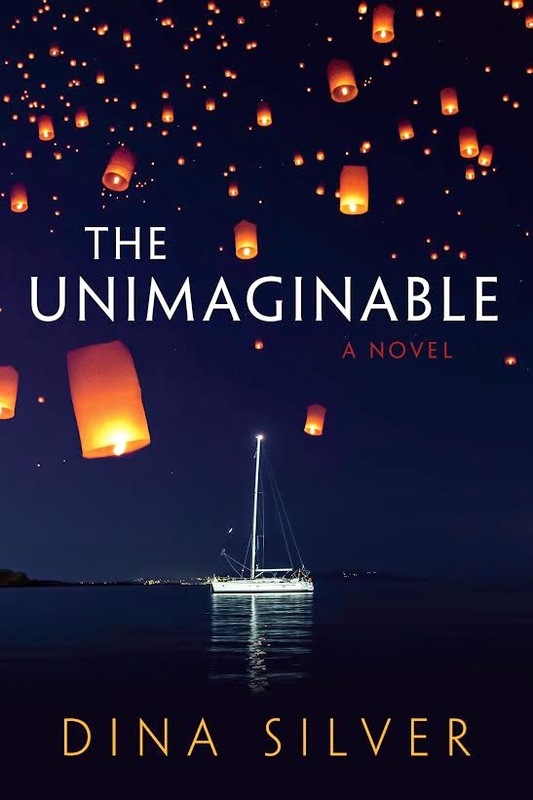 This month her fourth novel, The Unimaginable (reviewed by Book Mama Blog), is available. And thanks to BookSparks, we have TWO copies for readers in the US and/or Canada to win! Dina is a graduate of Purdue University and currently resides in the suburbs of Chicago with her husband and son. You can find her at her website, Facebook, and Twitter. Please give a warm CLC welcome to Dina Silver! What do you feel sets your writing apart from other authors? That’s a tough question. I really don’t compare myself to other writers, so I guess I can only comment on what my particular writing voice sounds like. I tend to inject wit and humor where I can. I also write a ton of dialogue, and think my books are heavy in that area because I prefer writing conversations over long, descriptive narratives. What part of the writing process was the easiest and/or most difficult for you to master? The editing process was probably the easiest for me. I know some writers struggle with that, but I love getting edits back and track changes from my editor. It’s a gift to have someone else's insight. The most difficult part of writing is simply disciplining myself to sit down and make time to write. I’m horrible at that. Always from people I know. Friends and family mostly, but all four of my books are based in truth, and stem from someone’s life. Just like you, I’m a Candy Crush junkie. What do you love most about the game? What level are you on? Ha! I love this question. I’m ashamed to admit it, but I’m on level 604. It’s hardly a badge of honor, right? I’m not a huge gamer, but I highly appreciate a mindless escape! The food, the months that it’s warm, and the people. Which Downton Abbey character do you relate to the most? Lady Mary for sure. I’ve always been a bit guarded with my emotions like she is, and I’d like to think I’m cool under pressure like her as well. Thanks to Dina for visiting with us and to BookSparks for sharing The Unimaginable with our readers. US/Canada only. Giveaway ends December 7th at midnight EST. A day of no stress and total relaxation seems very unimaginable in my life. It's always one ting or another here. Another thing that comes to mind is world peace. It would be very nice if everyone learned to get along. But I don't see it happening with so many wanting to be in charge of how others think or live their lives. I hold hope that it will happen one day. I just know it won't be in our lifetime. It is unimaginable to me that our language is being shredded and that there may come a day when there are no books. Having a day without a migraine headache would be wonderful! If they ever cancelled my favorite soap, GH, it would be unimaginable. I can't even think about it, ah! Life without books would be unimaginable. Something unimaginable to me would be to have peace through the world. But it would be wonderful if it ever happened. Something unimaginable... me ever being able to drive. I just am so afraid. I want to learn how to drive but I just don't think it will ever happen. I have a pretty good imagination so I don't know that there is anything I couldn't imagine. Maybe a huge environmental catastrophe or zombie apocalypse or something. I'm always surprised when I hear some people talk and realize they don't care about others. It's so weird. it is unimaginable to me that they want to do away with "cursive" handwriting at schools. A day without pain or illness. Oh to have the energy to do even some of the things I want to do. For my mother to be without back pain is unimaginable as she has suffered for a long while. Unimaginable - family. They complete me. For me, unimaginable would be for me to get married again. I have been single since my last divorce in 1982. I then had and raised my son as a single parent. I just can't see changing things now. It is unimaginable to me that so many people go through their lives without reading any books at all and they seem to be proud of the fact that they don't read. I just can't imagine my life without books!